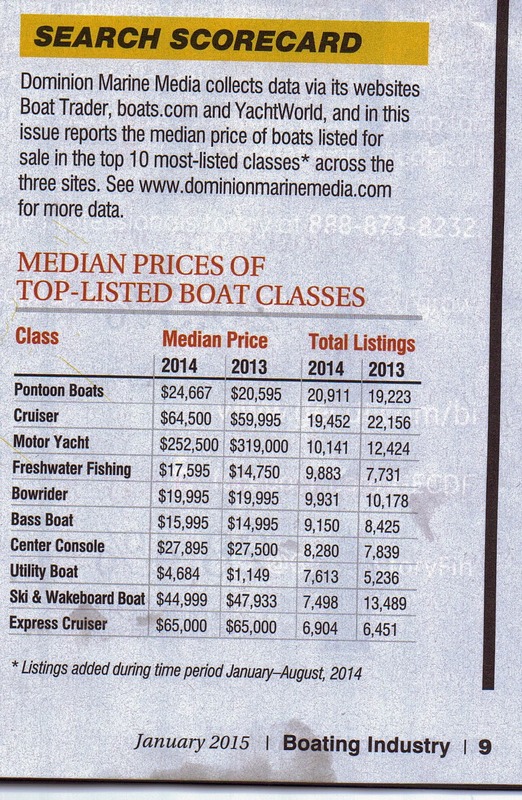 If you want to know what people asked for used boats sales last year this information comes from Boating Industry January 2015. The information comes from boats listed for sale in Boat Trader, boats.com and YachtWorld which is mainly used boats for sale. I'm not sure of how this compares to new boat companies reports which I have yet to see any signs of. Interesting maybe? What makes a decent water ski boat? Touch a Dyna-Ski before you buy?